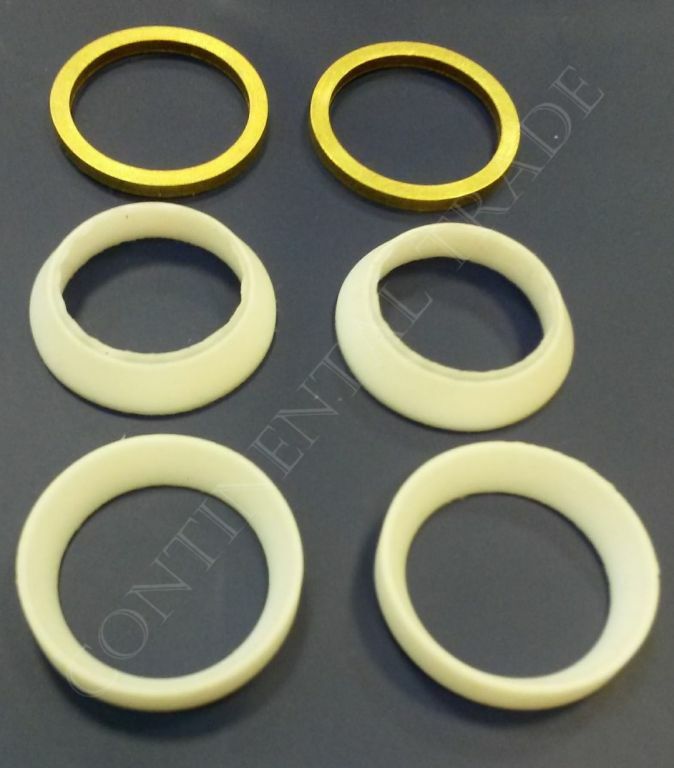 Other - Borosilicate and quartz glass, mica, sealing, level gauges, armature - Continental Trade. 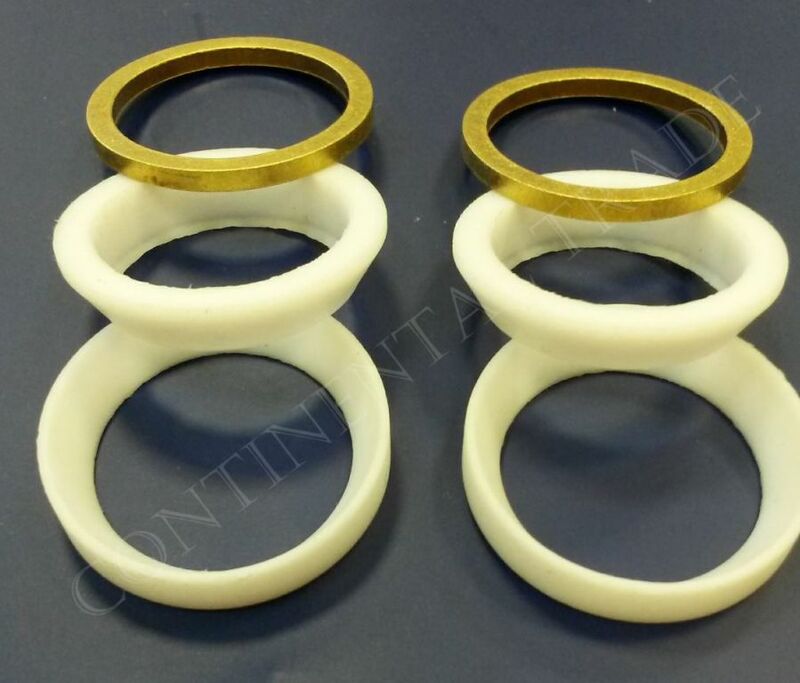 Besides complete level gauges, sight glasses, flow indicators etc., we also offer spare parts for these devices, as well as varius parts manufactured according to customer needs. Bellow are shown some often ordered elements. If you need others - please contact us. 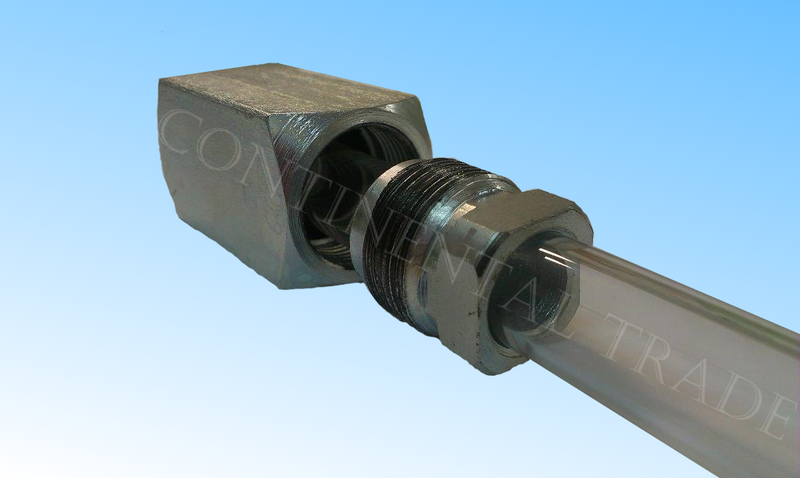 If the glass tube must be longer than the available standard level gauges tubes, it is necessary to order custom length pipe or welding long tube with pipe sections. Both solutions significantly increase the cost of level gauge. In many cases, we can use instead of welding a much cheaper solution using metal adapters for glass tubes. 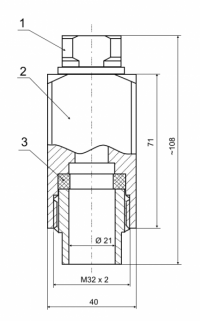 By using adapters, we can obtain tubes with significant lengths (e.g. 10 m). 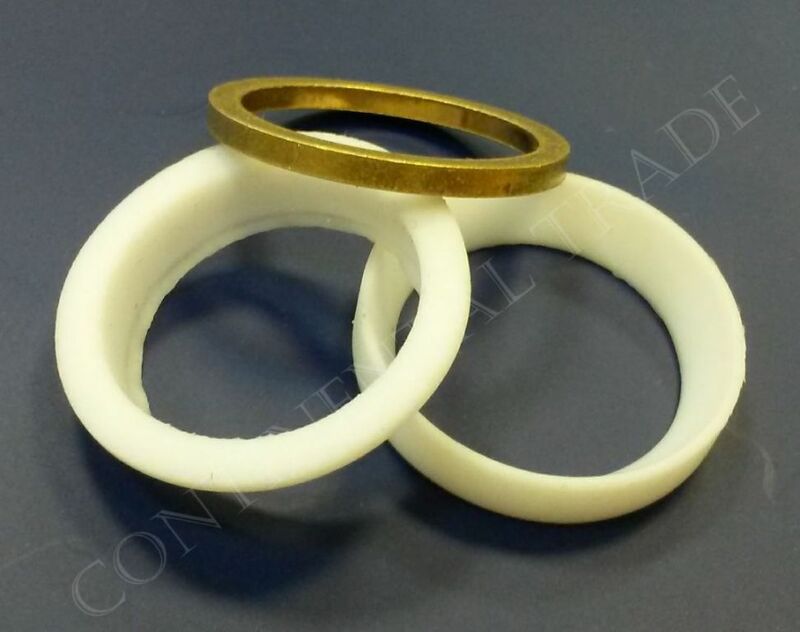 Adapters are designed to operate at a maximum pressure of 1.0 MPa (test pressure is 1.6 MPa) and temperatures up to 150 ° C. May be exposed to water, neutral and aggressive liquids, are approved for contact with food. 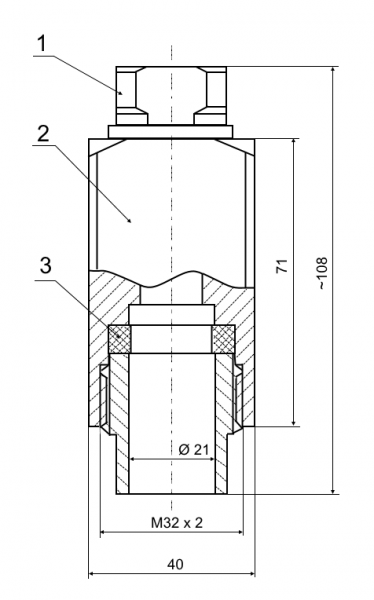 Body (2) and tightening screw (1) (gland) are made of stainless steel 316 / 316L. Seal (3) was made of EPDM rubber. Hole through the gland is so adjusted, that the gland can freely move around the glass tube placed inside it. 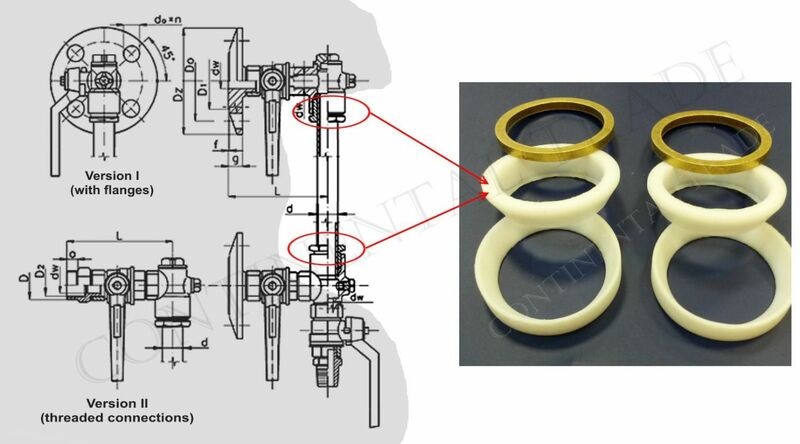 Tightening of the gland causes the deformation of the rubber seal, which fills the space between the metal adapter and the glass tube, provides a seal and a mechanical connection of adapter and tube. Is recommended to make the threaded mounting hole for attachment of the adapter to the tank wall to stabilize the level gauge. 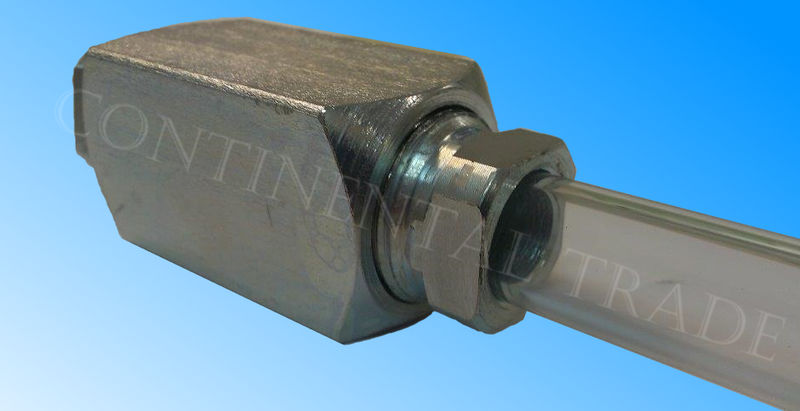 We provide various types of connectors (connection flanges) to allow the connection of level gauge (not just tube, but any type) to the tank (boiler, silo, etc.). 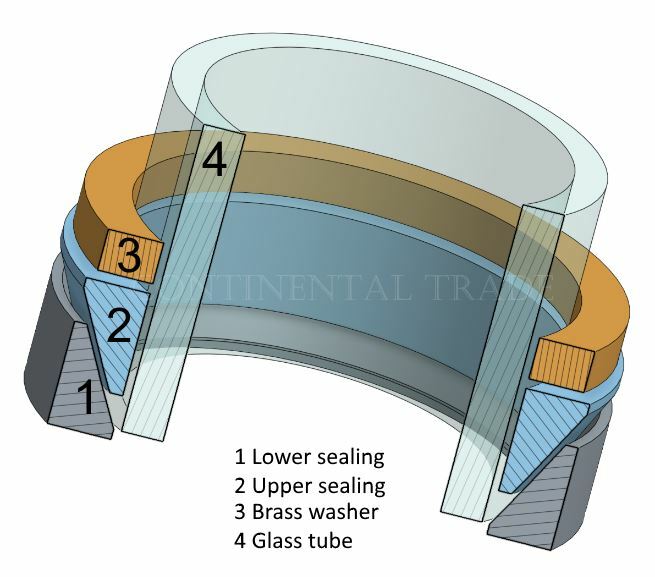 Connection flanges are designed to be welded in the metal wall of the tank. They are produced according to the customer's specifications. alloy steel (eg. 16Mo3, TStE355, 15CrMo/35CrMo, 42CrMo/1Cr5Mo, 12CrMoV, F5/F9/F11/F22/F51/F53). Available classes: PN0,6 MPa, PN1,0 MPa, PN2,4 MPa, PN4,0MPa etc. An example of the drawing is shown below. 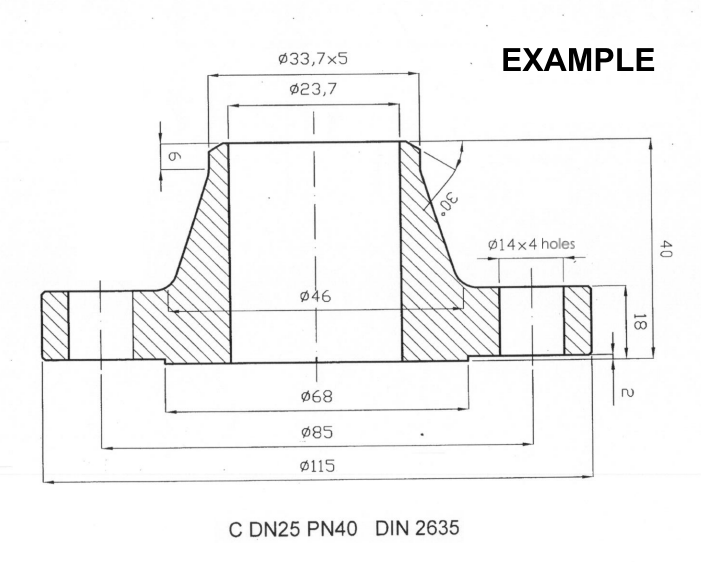 Based on this figure, please provide the required connection flange sizes, as well as the type of material of which is to be made. Model's 3D view is available here. The set consists of two teflon seals and one brass washers of size matched to the head of level gauge type 707. The goal of this is to seal the glass tube in the metal head. Thanks to the conical shape and the flexibility of teflon seal it deforms and tightly sealed space between the glass tube and the metal head. 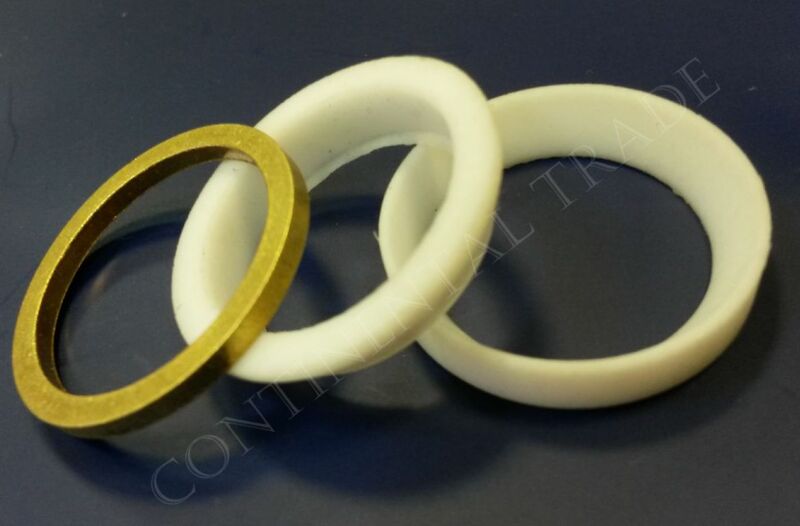 Brass ring (washer) guarantees a uniform sealing pressure when tightening the mounting screw.